Ever since the legendary battle between Netscape and Internet Explorer, the browser market has shaped up to become a lot more exciting. Netscape has vanished, but its successors give Internet Explorer a run for its market share. There is Firefox, which stepped into Netscape’s pioneer position. Opera, the fastest. 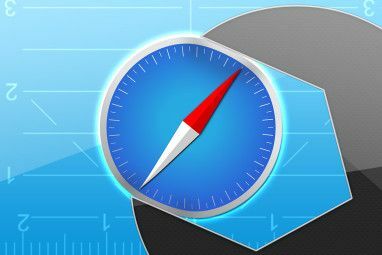 Safari, the Mac browser. Flock, the social browser. And of course there is Google Chrome, the new simplicity. 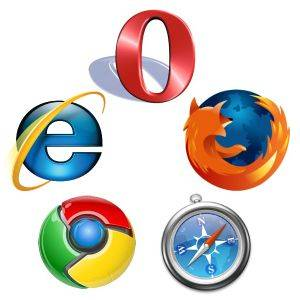 Among these and all the other browsers out there, which one is your favorite? Browsers are not like antivirus programs. You don’t have to choose because they don’t interfere with each other. Rather it’s advisable to have multiple browsers installed. Some websites work properly only in one browser, you will find another browser easier to customize and work with, and a third may come in handy because it’s fast. So how do you work efficiently with multiple browsers? This is a basic necessity. If you really want to use various browsers, you should always have instant access to your bookmarks. One of the best tools to sync your bookmarks across multiple browsers is Transmute. It will sync bookmarks between all major browsers, including IE, Firefox, Chrome, Opera, Safari, Avant, Flock, Konqueror, Chromium, and even social bookmarking sites like Delicious. In addition it is available for Android. 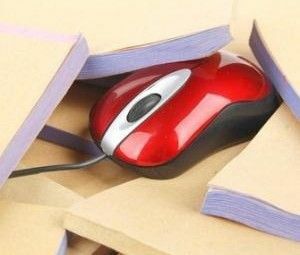 An alternative is AM-DeadLink, which Saikat covered in this post: Clean Up Your Bookmarks by Removing Dead Links And Duplicates AM-Deadlink: Clean Up Your Bookmarks by Removing Dead Links And Duplicates AM-Deadlink: Clean Up Your Bookmarks by Removing Dead Links And Duplicates Read More . These days mostly everyone has a widescreen monitor with a high resolution and a graphics card to support it. If you use your computer a lot and still sit in front of a 1024 x 768 pixel monitor, you should consider upgrading your hardware to work more comfortably. If you do enjoy the comfort of a high screen resolution, you do not need to maximize your windows. This appears to be a no-brainer, but apparently not. I have found that people maximize browser windows whether or not it’s needed. So here is a “new idea”: open two windows next to each other to make the most of your screen. It could be your default browser on the left and your fast alternative on the right or any other combination of windows. The usefulness of working with two windows side by side is also reflected in the respective Windows 7 feature called Snap. If you would like to simulate this windows behavior in Windows XP, try AeroSnap. You may want to open certain links in a browser that is not your default. You could open that browser, use your synced bookmarks or paste the link. Tedious. You don’t have to take that detour. Instead, create a shortcut that will open the URL where you want it to open. You can now use this shortcut to instantly open this link in a specific browser. If Firefox is your default browser, you can use an addon called Open With. It lets you open current pages in any browser of your choice. How do you use multiple browsers? I think Xmarks blows Transmute out of the water. 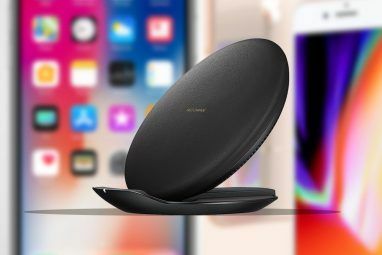 Xmarks automatically syncs your bookmarks, passwords, and even browser tabs across multiple browsers, computers, and even devices like the iPhone. You can even access your bookmarks from the web. Xmarks supports every popular browser and even has a few other neat features. My only beef with Xmarks is that the Chrome plugin is still in beta and therefore hiccups some. (It deleted a whole bunch of bookmarks from my account...) But overall, Xmarks has been a life changer. Irrelevant to which Browser you are using. Try http://www.myquickhomepage.com and Boost you Speed for free. Super fast - Useful Homepage for your Browser. I have to admit I didn't make the image myself. Oh come on, the new Opera logo is as ugly as the inside of Gollum's rear end! I use a mac, and I use them all! except for that one. Chrome - this is my main guy, using it for the efficient memory management. I can reclaim memory by just closing a tab, unlike firefox that most of the time suffers memory leaks and got bloated after sometime. The chrome extensions surely a firefox killer, but I cant seem to have any extensions running smoothly on chrome, maybe later i will try some handy extensions for chrome. Safari - using Fluid, I can create a quick short cut for my wife to open her fave websites (read: Facebook). I myself rarely use safari now. Opera - this use to be my favorite browser, until chrome showed up. Sometimes opera gets bloated and eats up my precious memory, so I still stick with chrome. But as die hard fan, I keep a latest version of it handy in my programs folder. You never know, right? I use a mac, and I use them all! except for that one.Chrome - this is my main guy, using it for the efficient memory management. I can reclaim memory by just closing a tab, unlike firefox that most of the time suffers memory leaks and got bloated after sometime. The chrome extensions surely a firefox killer, but I cant seem to have any extensions running smoothly on chrome, maybe later i will try some handy extensions for chrome.Firefox - for it's very useful extensions. I only use it if I need certain extensions on certain websites. eg: Firebug, adblock :)Safari - using Fluid, I can create a quick short cut for my wife to open her fave websites (read: Facebook). I myself rarely use safari now.Opera - this use to be my favorite browser, until chrome showed up. Sometimes opera gets bloated and eats up my precious memory, so I still stick with chrome. But as die hard fan, I keep a latest version of it handy in my programs folder. You never know, right? It sounds like a plan! Great to know you're putting all this useful software to good work. Also very useful is the ability to change the default browser easily and quickly. Once such program I use is "browser trayswitch"
Opera has "Open With" functionality by default; just right-click on the page and it's there in the pop-up menu. I use both Firefox and Chrome as my primary browsers. Firefox is set to a default. The only addon that is absolutely essential for me in this case is Xmarks. It automatically sync my browser bookmarks on the background. I often drag the url from anywhere (ahem, mainly from a web browser addressbar) and drop in another browser's address bar (Chrome & firefox are the best recipients, does not work in Opera and IE does not open a new tab!) or new tab icon or beside and open tab to open the tab. Dropping on the bookmarks bar/links creates a link. Dropping on Desktop (or any folder white space for that matter creates a windows shortcut (really helps to note down the source of some downloads). If your screen isn't big enough to comfortably fit two windows next to each other in a way that the browser window is still wide enough to show the full website, then it's not an efficient method and you should indeed use your browser in full screen mode. It works best on high resolution, minimum 15" wide screens, i.e. WSXGA+ (1680 x 1050 pixel) and up. You can still use other windows side by side, though. I was really excited to try this idea. Then I tried it with firefox. For some reason most of the websites I use (Yahoo Mail, popurls, etc.) fail to pop up a horizontal scrollbar. So no way to access info that's on the right side of the page without maximizing.